Before the final season of Lost began, we presented you our infallible Jack Likability Index — which, to be fair, was more of a Dislikabilty Index (and no, we did not mean to foreshadow our recapper’s disenchantment with the show this season). To balance things out as the show comes to a close with Sunday’s finale, we’re bringing you a genuine Likability Index, this time featuring everyone’s favorite dimpled con man, Sawyer. 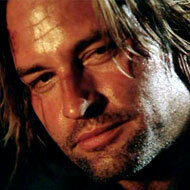 Ironically, while Jack was supposed to be the hero and Sawyer the bad boy, it was the former James Ford whom, in spite of all his foibles (cold-blooded murder, bad bomb-dismantling decisions), we kept rooting for. Here are the peaks (and valleys) of his charming moments throughout the run of the series.